So, I didn’t exactly set out to make a ratatouille, but that’s what ended up happening. I had a bag of summer squash and zucchini in the fridge from the farmer’s market I needed to use, and I also had some extra cans of stewed tomatoes from last summer I wanted to kick out so I can use them for this year again. Also, I wanted to give this dish more texture and make it a little more filling, so I added brown rice in to the sauce in the Hot Logic at the very end, but this was a mistake, because the rice was just too thick and didn’t soak up enough liquid – I should have cooked it along with the sauce as it simmered. Still ironing out the kinks in my recipes, but overall I’ve found that as long as I get the chemistry right during the food prep, this thing is amazing as a slow cooker for from-scratch and semi-fresh meals. 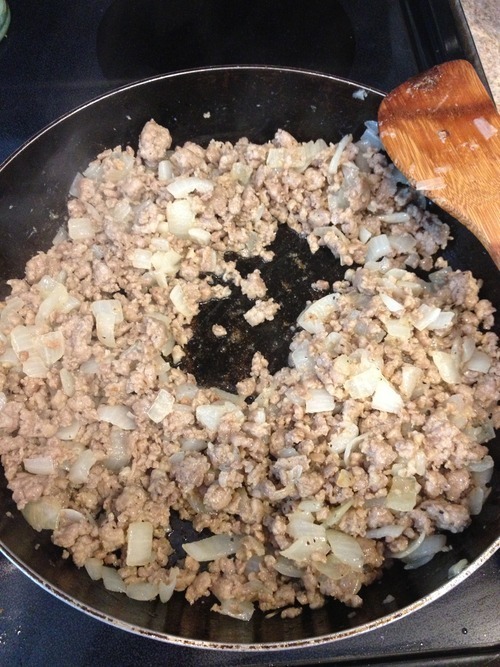 I browned the onions and the sausage all together until they were cooked, added in the seasonings, then last the tomatoes. If I were doing it again, I would add the rice here as well. Then, I let the whole thing simmer in the same wide, deep pan for about 30 minutes, on medium-high. You would want to do this until the rice is almost cooked, and the sauce is almost thickened. 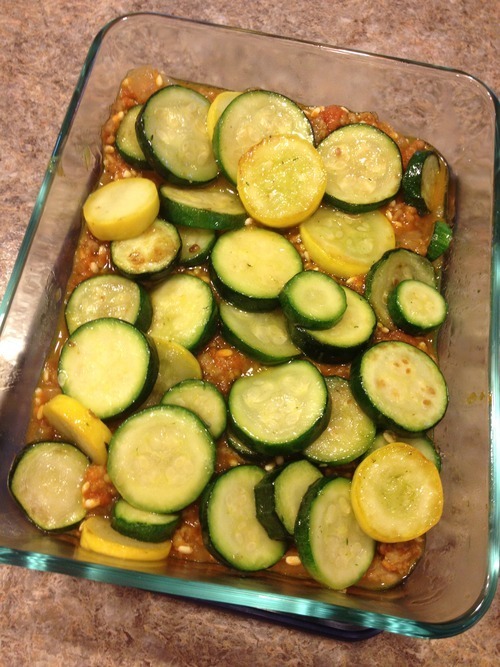 The sauce got tossed in my 8×6” pyrex pan, then I lightly sautéed the zucchini and summer squash until golden brown, and layered them on top of the sauce. 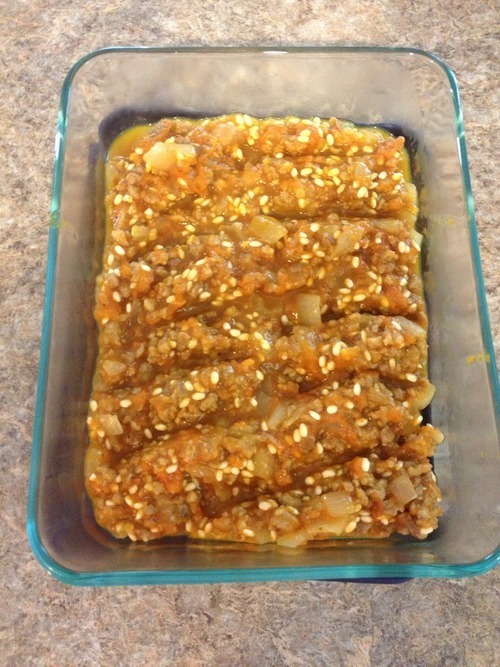 Let it cool, then pop it in the fridge or freezer for the week ahead! Delicious.